Armored Sealcoating is Racine and Kenosha’s first choice for asphalt maintenance. If you have a driveway in Union Grove that needs to be seal coated, call our asphalt contractors for reliable, affordable services! Driveways of every shape and size – small or large, straight or curvy, flat or hilly – look better and last longer when they’re seal coated by our pros. Whether you need seal coating for the first time (newly paved asphalt need about 6 months to cure before it can be sealed) or are looking for a better deal on high quality seal coating services, we’re a great choice. Proud to provide competitive pricing, efficient labor, and quality workmanship on every project, the best compliment we can get is a referral. Hearing great testimonials from customers like Megan further fuels our dedication to excellence. Every residential asphalt sealcoating project we work on is important, and we will not call it a job done until it is a job WELL done without question. Contact Armored Sealcoating for a free estimate on asphalt maintenance. 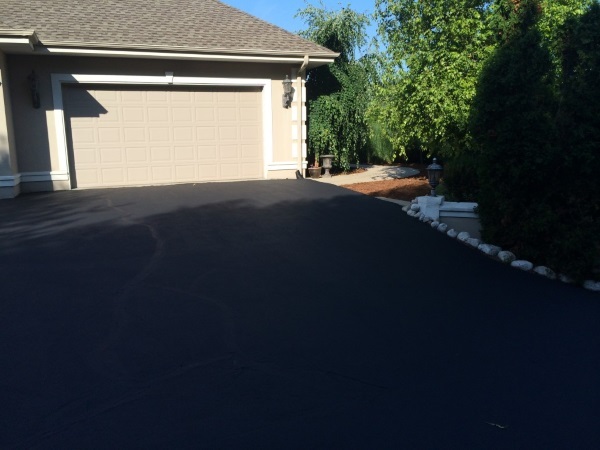 Everything you need to Know about Asphalt Maintenance Kenosha Lake Geneva Residential Seal Coating Success!